The Yemeni population is once again faced with a severe shortage of propane gas. This has caused much grief among poverty stricken Yemeni families who make up the majority of the Yemeni population. 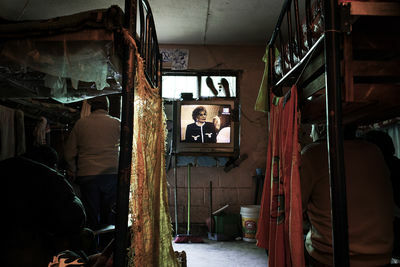 Fifteen-year-old Bashir Merhibi is the eldest son in a Yemeni family. 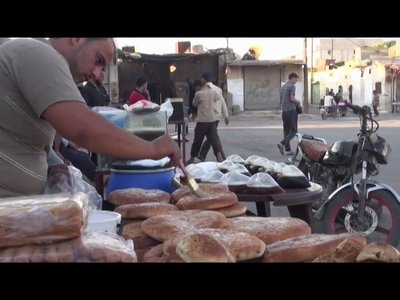 Bashir struggles on a daily basis to find propane gas to cook food. Instead of going to school in the morning, Bashir is forced to search the streets barefoot for propane gas in a number of neighborhoods in the Yemeni capital. 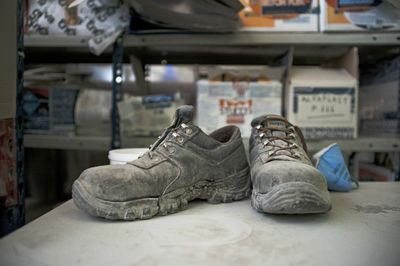 A Transterra contributor spent the day with Bashir Merhibi as he searched for propane tanks. He would roll his 40-pound empty tank along the road with his feet through many neighborhoods hoping to take a full tank home to his family so they can cook their food. Unfortunately Bashir was unable to obtain any propane gas as the price had increased to 1,900 Yemeni Rial (almost $9), and he only had 1,200 Rial. The severe gas shortage in Yemen is due to disgruntled tribesmen who occasionally blow up gas pipelines and block supply routes in the province of Ma'rib to pressure the Yemeni government to meet their demands. The shortage of gas in Yemen has resulted in a price hike of propane gas, which many Yemeni families cannot afford. "My name is Bashir, I am 15 years old and I am in the ninth grade. Instead of going to school, I wake up and go searching for propane gas with this tank, and this tank has been through all kinds of streets. From street to street and from station to station, I have kicked and pushed this tank with my hands and with my feet". "I have been searching for gas since seven in the morning; I haven’t eaten breakfast or lunch. I drank water and ate a biscuit from the store and that’s it and continue to search and search for gas in a number of streets and propane gas stations. In this country, you have to search for everything. Nothing comes without struggle. Just like this: this is an example of Yemen. They give you gas like this: drip-by-drip". "I started my search at seven in the morning and the time now is five pm. After searching for gas in many streets and many stations, I finally found one. I thought I was going to pump gas, so I waited in line until I reached the front." "I asked the owner how much? And, he replied, ‘1900’ (Yemeni Riyal.) I then told him, “Fear god! The original price is 1200 (Yemeni Riyal) and you want to sell it for 1900?” I tried to plead with him and told him I only have 1200; however, he told me to either pay 1900 or go home. We argued and argued and almost got into a fight. I took my tank and told him all I have with me is 1200." “The cause of gas shortage is due to the low gas production from Safer. The Safer Gas Company fills 39 propane trucks every day; however, there are 1200 propane trucks queuing in line at Safer Company waiting to fill their gas trucks so they can distribute gas throughout the nation. 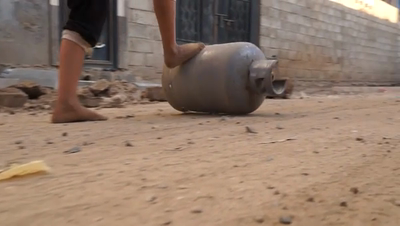 This has led to fewer propane truck deliveries to the Yemeni capital. Because of this, only 150 to 200 propane trucks make deliveries per week. 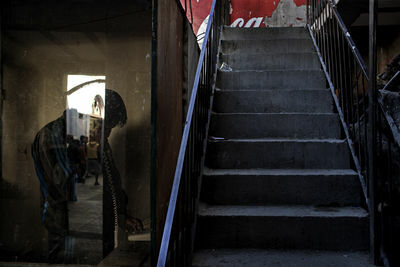 This has led to higher demands for gas in the Yemeni capital, while there are fewer gas deliveries." "The second reason is there are now more cars which run on propane gas. In 2014, nearly 67 thousand cars that run on gas entered the county. This resulted in a higher demands for gas; however, the gas production in Safer (Mareb province) is only sufficient enough for the use of average households only." "No car, no motorbike and no bicycle. I am just like all other Yemenis, I have to kick and push, kick and push from street to street and from gas station to gas station Sometimes, I find a station with propane gas however, there are long lines which reach up to 500 to 600 tanks. When I reach the station, people usually try to cut in line in front of me, which results in heated arguments and sometimes fights. I don’t know what else to do. This is very depressing. 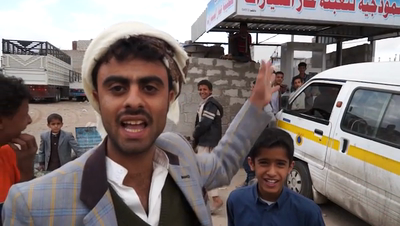 The gas problem in Yemen is very depressing." 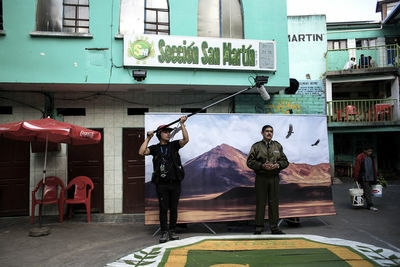 “We want a solution to the gas problem; we been waiting in line since the morning. All of us have haven’t ate lunch. The rich people are living comfortably because they have gas; however, we the average workers have to spend all day waiting in line. Will they ever have mercy on us, or are we going to continue living like this?" Sound bite: Bashir Merhibi, (Man, Arabic) "Unfortunately, I am now going home and I don’t know how to tell my mother and father that I couldn’t find gas. What will I tell them, what shall I do?" 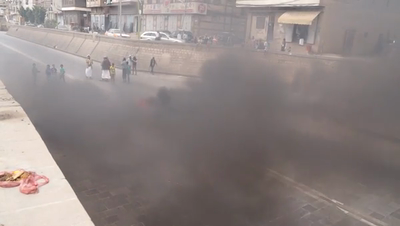 Hundreds of Yemenis blocked off main roads and burned tires, in a number of Yemeni provinces, in protest against the latest price-hike of petroleum products, which came into effect on the third day of the Eid al-Fitr holiday. On Wednesday morning the prices of fuel had increased from 2,500 to 4,000 Yemeni riyals ($11.6 to $18.6) for 20 liters. The price of diesel also increased from 2000 to 3,900 riyals. Yemen is considered to be the poorest country in the Middle East with nearly half of its population living in severe poverty. "Reverse mobility", says Kasimis Charalambos, specialist of the Greek rural world, when asked about the current movement of "return to the land" that turns thousands of Greek city-dwellers into farmers or olive producers. Since the end of the civil war in 1949, the Greek rural world experienced an exodus and Athens, a once 200.000 inhabitant's city, now gathers almost half of the 11,23 million's national population. "A tool of resilience against the crisis", adds Karina Benessaiah, who writes a Phd on the issue. 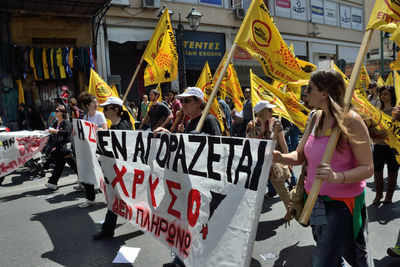 Indeed, since the beginning of the financial crisis in 2008, more than 600 000 jobs were destroyed in the country, mainly in Athens, where unemployment, combined with increased taxes and raising daily costs, turned life into a never-ending nightmare. Suicide rate have dangerously increased and the Neo-nazi party Golden Dawn, whose members are whether in jail or in trial, is the third party of the capital, since the municipal elections that were held in May. "I want to leave the city to be free and human again", endeavors Giorgia, unemployed for 2 years, from a piece of land located in Nea Makri and owned by the collective Nea Guinea, which provides trainings to city-dwellers eager to live a sustainable and self-managed life. 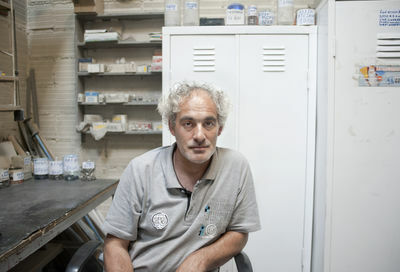 "This field, at a one-hour-distance from Athens, is a bridge between Athenians and the rural world, a laboratory to succeed in the hard process of going back to working and living of the land", explains Fotini, founder of Nea Guinea, who will move in Nea Makri for good in September. For Dimitris and Penelope, Athens is already an old souvenir. 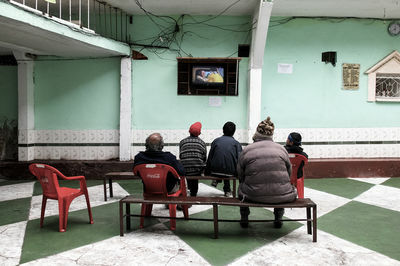 They swapped their urban lifestyle in the beginning of the crisis for the tough adventure of the rural world in Pelion, at five-hours-distance from Athens. In spite of many sacrifices and efforts, they are happy to live among olives, apple trees, homeopathic plants and wild pigs. For them, more than an economic opportunity, returning to the land was also a way to live a more sustainable life and to take their distance with the Greek political system that they find illegitimate. Agriculture may be a tool of resilience, but it will not be enough to solve the economic crisis, in a country where more than half of the youth is unemployed. 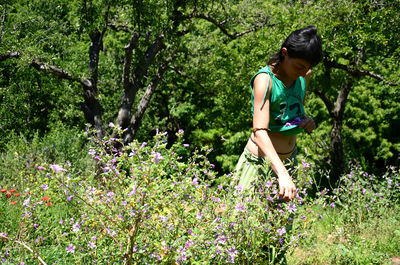 Back in her house, Penelope picks some Malva, let her chicken out from his house, in the back of the garden. A big dog is at the entrance, "vital to chase wild pigs", she precises. 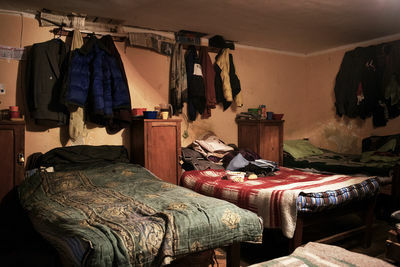 "For one year, we lived here with a friend without water and electricity. Now things are easier. But my friends are still scared to visit, because they are scared of loosing the confort of the city. Still, when I go back to Athens, every body tells me how he envies me and which he could do it. So why don't they do it?!" 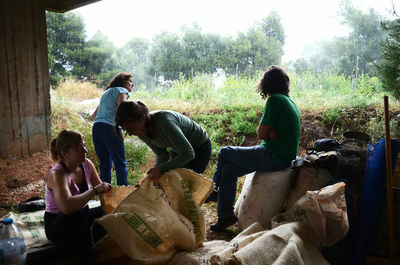 "The return to the land is positive in the short term; life is easier and cheaper in the province than in Athens, and cultivating the land is a proactive way to react to the loss of a job or the closure of a company. 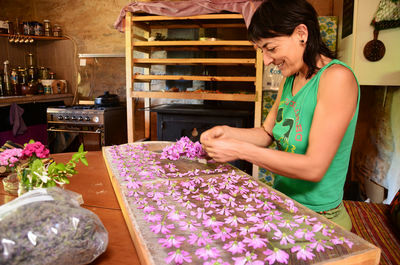 But on the long term, it is not clear yet if people will manage to earn a living with that", confesses Karina Benessaiah. Penelope does not look for benefits. For her, the return to the land must go with a renewed economic system. "I swap my creams and oils against services with the local community. And I sell my fruits and vegetables in an independant market in Volos, the nearest big city, that was created by an anarchist squat for ecological producers. But here, I don't need a lot to live." For 20 years, Giorgia worked as a secretary in a law office. Unemployed for two years, she only finds offers to work for 400€/month, 6 days on 7. 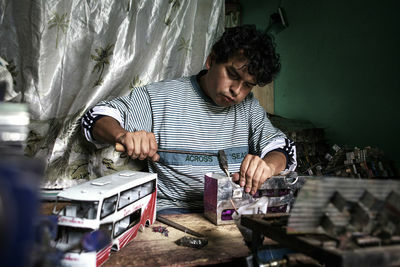 "As an unemployed, I even have to pay charges to the State, and I don't receive anything. We feel like thieves, as if we would have to pay back something we robbed. But the only who robbed were the banks! ", she denounces. 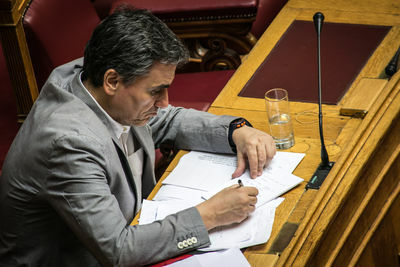 Recently, the Greek vice-minister of Justice brought in a bill proposing to lock up until one year in jail any citizen who would not be able to pay a debt over 5000 euros to the Greek State after 4 months. "Nea Guinea is our way to do the revolution against the system of austerity and neoliberalism. But instead of fighting against police like the anarchists, we do concrete and everyday actions. 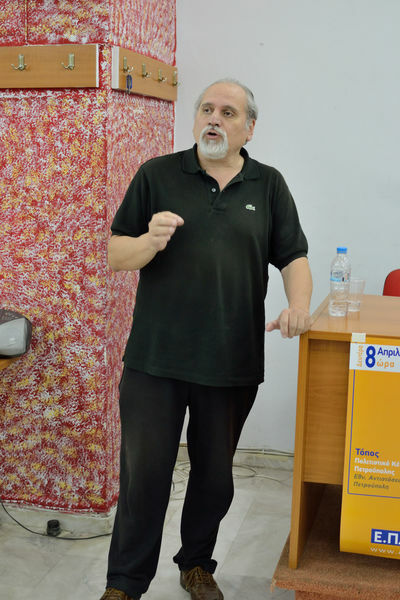 From housing to energy, health to food, we propose to the Athenians an alternative, sustainable and self-managed way to live, without having debts to pay to a State that we don't trust anymore", abounds Fotini. Elderly care has been one of the sectors affected by the global economic crisis in Europe. Many retired people cannot afford to pay for the services they require. Countries like Thailand have seen this dilemma as an opportunity to offer these services at a lower price. In Phuket, one of the main tourist towns in Thailand, a Swiss woman has opened a caring house, the Baan Tschuai Duu Laa (House of Help and Care), which hosts elderly from Switzerland, Germany and the United States. The residents of the care home now enjoy better care at a much lower price than their home countries. Due to the displacement of the roads and the large scale economic crisis in the country, the prices of goods and services has increased drastically, resulting in a decrease in consumerism and trade. 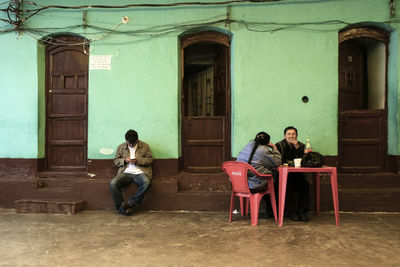 "The politicians don't want the self-management, because unemployment and crisis are often useful for low wages and foreing investors", said a worker during a break. 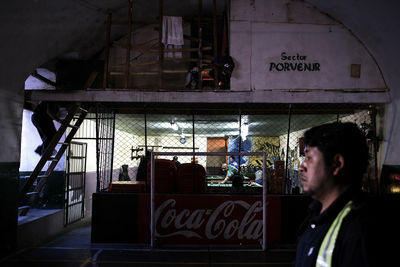 After bankrupt, workers decide to occupy the factory and then to self-organize the production. Now they produce cleaning products. 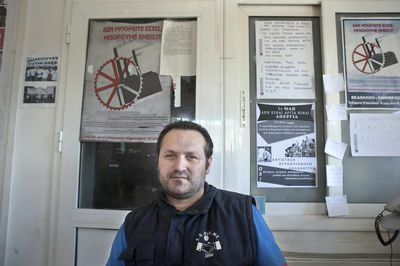 In February 2012, after the occupation of the factory, the workers started a new self-management production, selling cleaning products and trying to expand their experience in other factories in Greece. 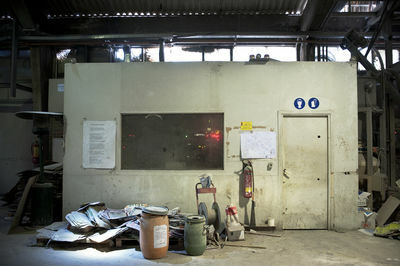 In June 2013, Naomi Klein visited the Viome factory as an experiment of social redistribution from the botton. Actually there is no owner of the factory, just the general assembly makes decisions. 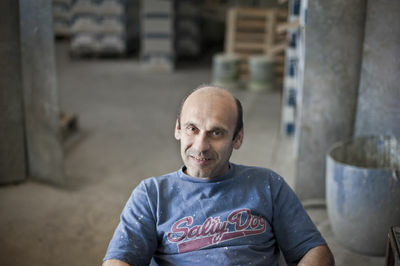 A worker during a break in Viome. Through a formal proposal dating from October 2011 they have been claiming the establishment of a workers' cooperative under full workers’ control, demanding legal recognition for their own workers’ cooperative, as well as for all the others to follow. 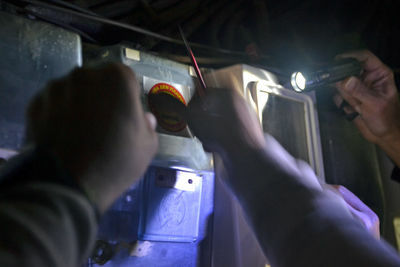 A member of the " I Don't Pay" movement reconnects the electricity to the home of the unemployed tenant. 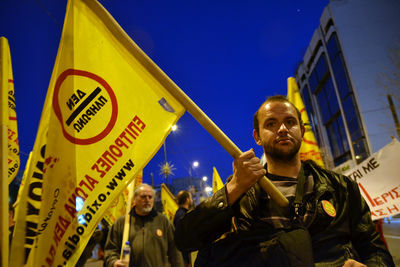 A demonstrator with the " I Don't Pay" movement flag. 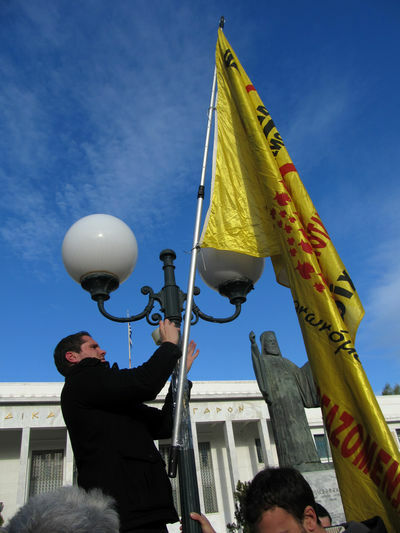 An "I Don't Pay'" movement member hangs a flag on a column. 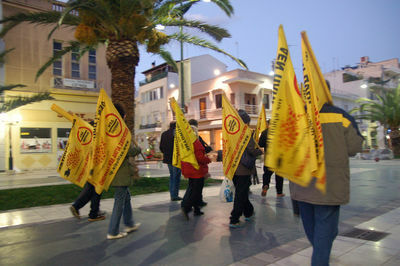 Members of the " I Don't Pay" movement protest against gold mining in Halkidiki. 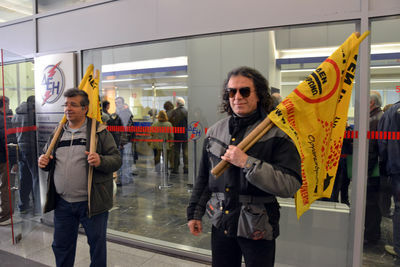 Members of "I Don't Pay" movement demonstrate in front of Greek Electricity provider DEI as electricity bills continue to increase. 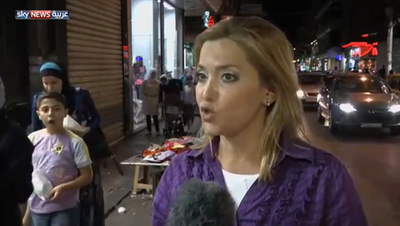 "I Don't Pay" movement, speaks of the party's future plans against the new austerity measures in Greece. flag's bearing the party's logo. 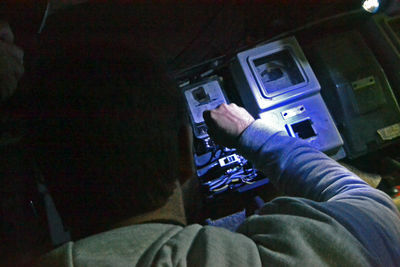 A member of the "I Don't Pay" movement helps reconnect the electricity in a family's home. Their electricity was cut because they could not pay the bill. 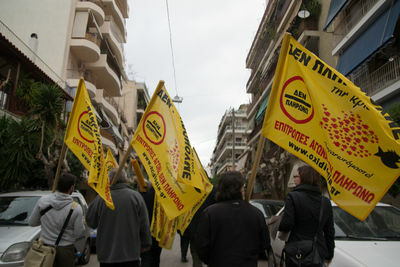 Members of the "I Dont Pay" movement are seen marching through the streets of Athens. 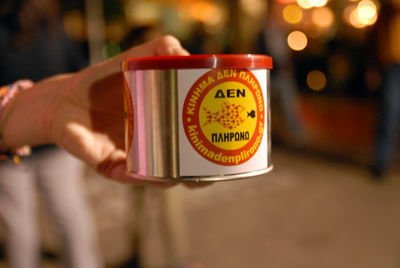 A donation box with the "I Dont Pay" movement's logo depicting the resistance to the austerity measures in Greece. 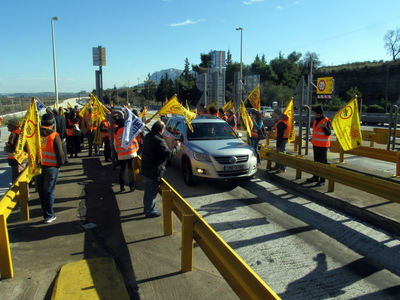 Members of the '" I Don't Pay'" movement are seen opening toll booths in the Zevgolatio region of Greece allowing cars to pass without paying the toll fee.